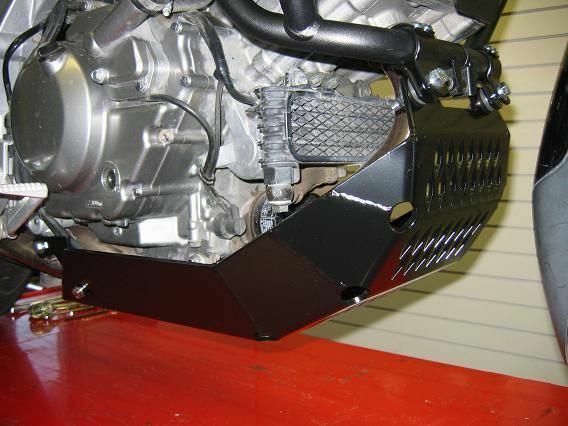 Stromtrooper Forum : Suzuki V-Strom Motorcycle Forums > Popular Forums > DL650 and DL650A - 2004 to 2011 > Skid Plate: Can anyone identify who manufactured this? Skid Plate: Can anyone identify who manufactured this? 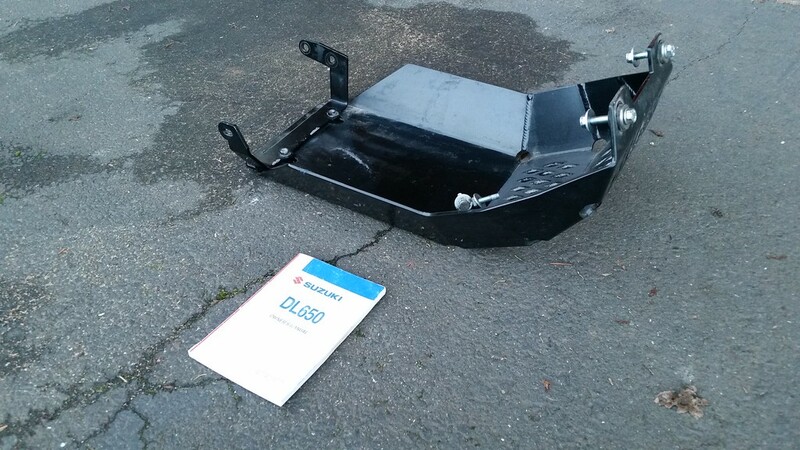 This skid plate came on my 2007 DL650 when I bought it. I have note been able to find a photo or and example of who manufactures it. It is a typical desgn that mounts to the crash bars, also of an unidentified make. Anyone Know? 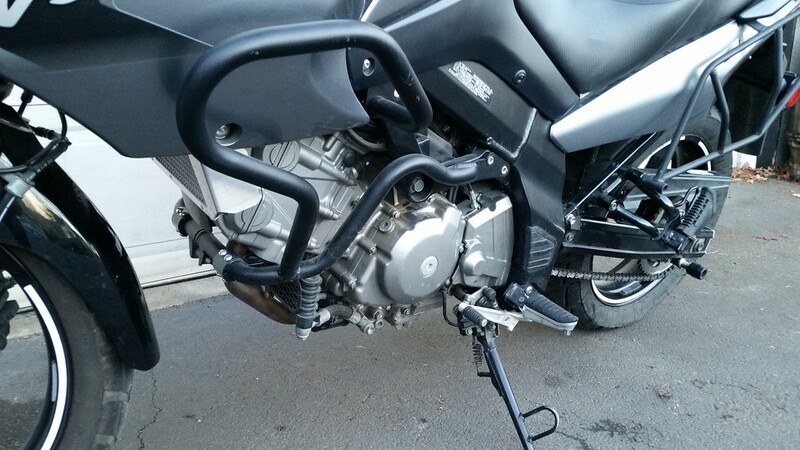 I'll attach a photo of the skid plate which I have not reinstalled since installing the Delkevic system, and the bike so you can see the crash bars. "Look...My old man is a television repairman. He's got this ultimate set of tools. I can fix it." Jeff Spicoli, Fast Times. "Does anyone know where there is a taco stand? A beer and a taco stand, that's what I need." Mouse McCoy, Dust to Glory. If you find out, let me know! I have the same on my 07. Perhaps a Givi bash plate is as well. I see that some bash plate fittings are still affixed to the crash bar cross brace. Last edited by Brockie; 01-06-2019 at 08:14 PM. blaustrom and StromRider30 like this. Yep AMS with Givi crash bars, both great products. I've dumped the bike about 7 times on dirt and rocks and bashed the skid plate several time. Just scratches, no dents. 2009 Wee-Strom. Center Stand, Givi crash bars, AMS skid plate, MadStad wind screen mount, Cee Baily Windscreen, voltmeter, fork mount fog lights, Shinko 804/805, seat concepts saddle, EB PC8,heated grips, single headlight cutout, dual USB charger, 12v charger. Next mods: sonic springs, short blinkers, bark busters, delkevic exhaust. Did the skid plate work with the Delkevic system? 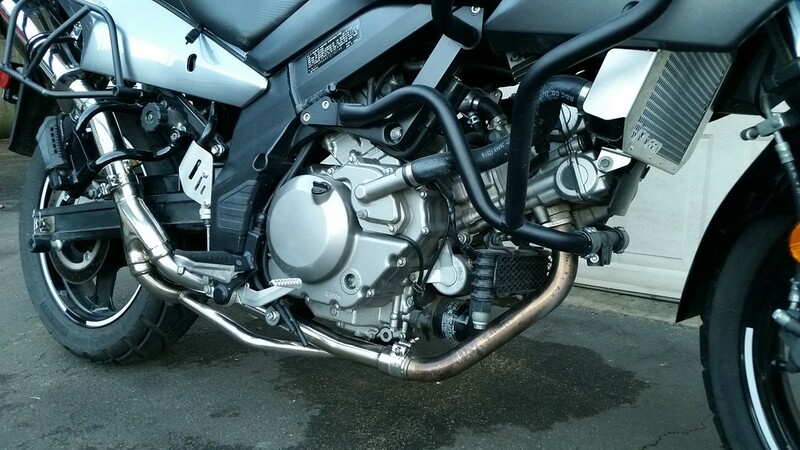 Thinking about getting the exhaust for my bike. Delkevic pipes are lower underneath and this skid plate won’t go back on. Been running without my skid plate until I get around to modifying it so it can use it again.